While people will start to pour into Auckland next week for the ITU World Triathlon Series Grand Final, the city is already bustling with triathlon action this week with the start of the ITU World Junior and Under23 Camp on Monday. A total of 30 promising athletes and 11 coaches from developing National Federations were selected based on their talent and elite potential. The camp was strategically scheduled just ahead of the Junior and Under23 ITU World Championships in Auckland, which many athletes will be racing. Over the nine-day camp, which is set at the Millennium Institute for Sport and Health, the attendees will receive guidance and training tips from four world class coaches and have services of a top bike mechanic and physiotherapist. The athletes hail from 21 different countries and all five continents. The young up and comers have already begun receiving swim, bike, and run training from the coaches, which includes a variety of intense endurance, intervals, hills, and pacing workouts. Not forgotten are transitions, triathlon’s so-called fourth discipline, which athletes also train and learn how to perfect in an afternoon session. While the sessions and practices are designed to both teach and test the attendees, they also participate in sessions to learn drills to improve their technique. More than just the physical component of the sport and with the intent of developing well-rounded athletes, athletes also attend lectures every evening during the camp. 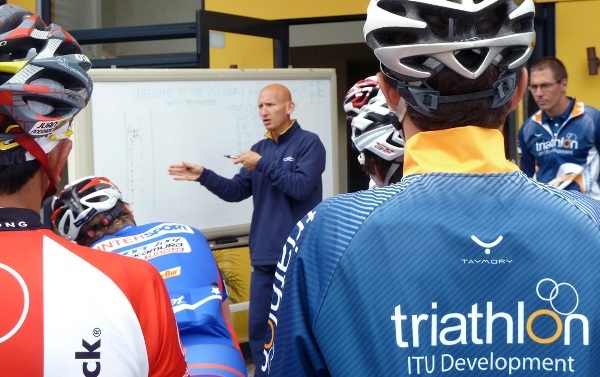 They learn on various topics such as nutrition, cycling strategy, swimming analysis and anti-doping in preparation of becoming the future generation of the sport. Athletes also learn about sport psychology, race planning and pathways for the future. Brazilian elites Pamela Oliveira and Bruno Matheus are also participating in the camp as elite mentors to the younger athletes. 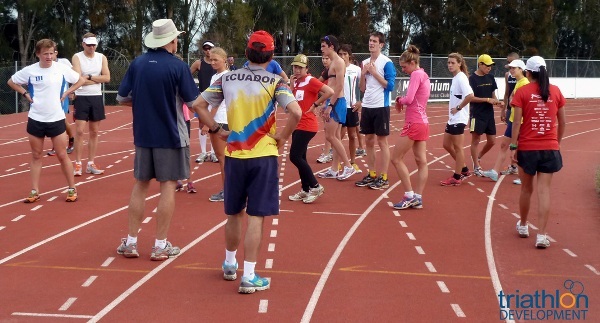 The camp is led by world renowned triathlon coach Sergio Santos (POR), who stepped in after the camp’s original head coach Mick Delamotte (AUS) was unable to attend due to health reasons. Also part of the coaching team is running expert Bobby McGee (USA), Claudia Beristain (MEX), and Zeljko Bijuk (CRO). Jeff Donaldson (USA) is the camp’s bike mechanic after having worked numerous ITU Development teams at World Cup events, and Alex Price (AUS) ensures the participants are physically ready and recovering from all sessions as the camp’s physiotherapist. Brett Reid, the Coaching/Talent Development Manager of Triathlon New Zealand, has been instrumental as the local liaison and securing local athletes to join the young athletes for bike rides, as well as finding proper fields for trail runs. The camp will conclude on Tuesday 16 October with a final swim and run session. Most athletes and coaches will stay in Auckland for the ITU Junior and Under23 World Championships on Saturday and Sunday.